If you’re a Melbourne gal like me and you haven’t been personally affronted by the freezing cold weather of late where the hell have you been?! When winter rolls around in these parts all I want to do is hibernate with a luscious face mask on for the next 3 months and hope my skin comes out looking radiant on the other side. The chances of that happening? NIL! 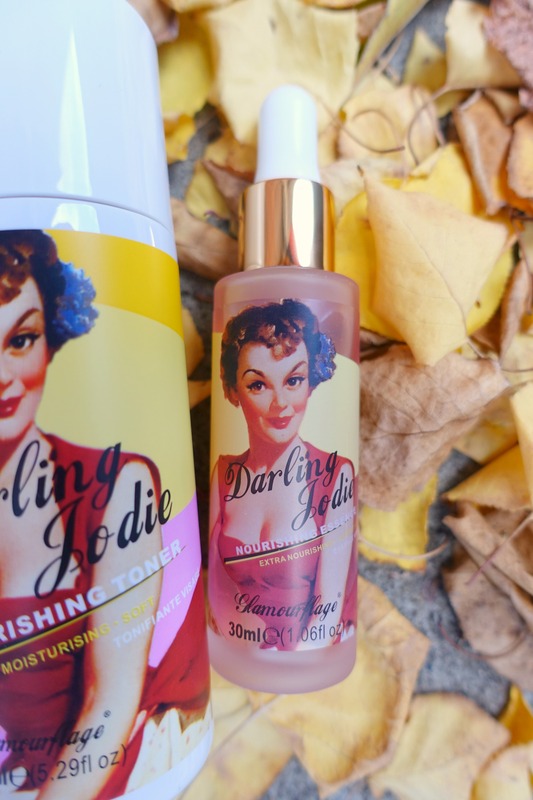 But I needn’t be so dramatic as there is a solution… my old skincare faves, Glamourflage, have released a new enriching nourishing collection for the Aussie market – The Darling Jodie Nourishing Collection. Expertly formulated for skin that endures exposure to both air-conditioning and heating (ugh don’t I know it sister!) the new nourishing collection includes ingredients like macadamia oil, shea butter, seaweed, jojoba oil and vitamin E to mention a few! 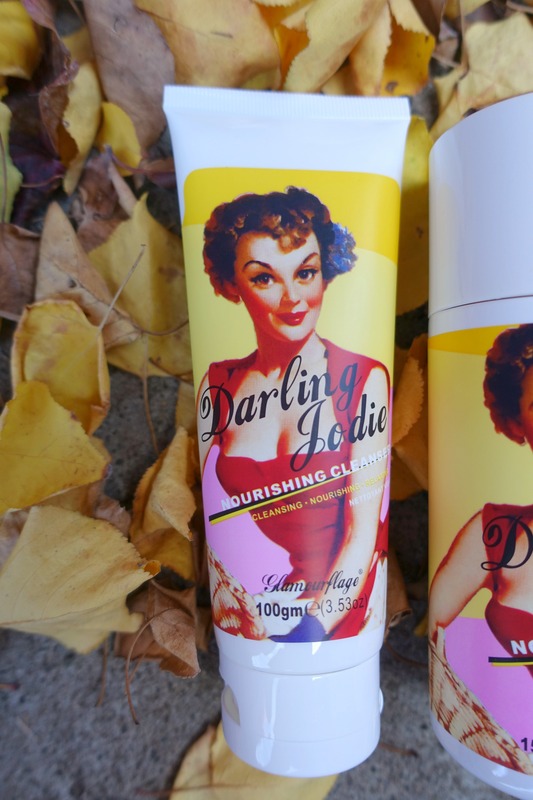 Darling Jodie Nourishing Cleanser ($19) – Formulated with Amino Acid, this gentle cleanser cleanses away facial dirt and excess oil and balances the skin pH, leaving you suppler and smoother skin without dry and tight. As I have sensitive skin, as well as rosacea, I make sure not to overdo it with scrubs so I use this 1-2 times a week for that deep cleanse and I am a massive fan of a face scrub that isn’t super abrasive yet still manages to make my skin feel clean and smooth. I also love that it’s fragrance free as perfumes can act like an irritant on my skin. 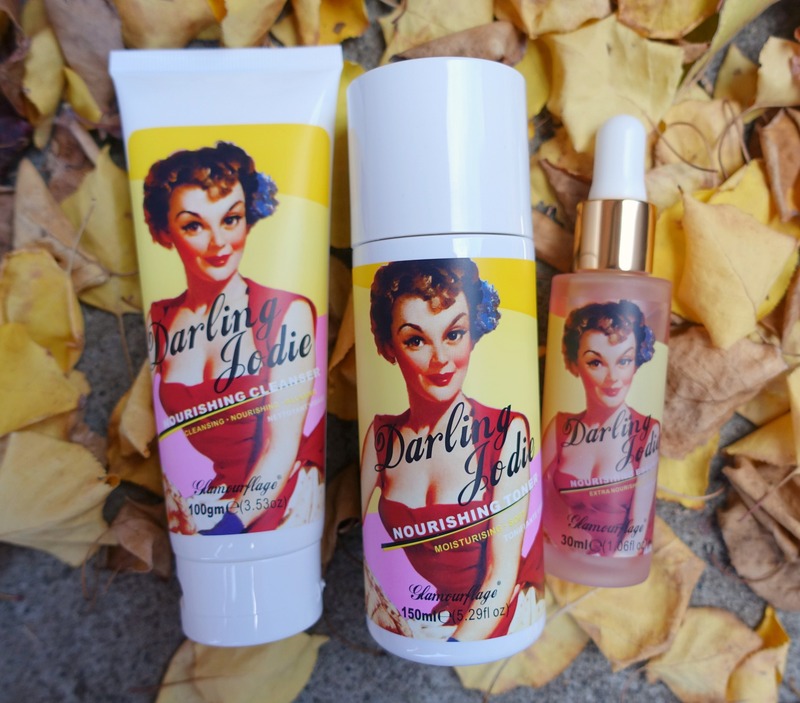 Darling Jodie Nourishing Toner ($28) – Available in regular and ENRICHED, this toner restores damaged cells and strengthens skin barriers with a hydra-lite texture. OK, I have a confession to make :: I’m so lazy when it comes to my skincare regime (hey, I’m a busy girl!) and tend to skip out the toning part of a usual 3-step routine. Right after cleansing I rush straight to the moisturising bit and completely forget about toning… my bad! 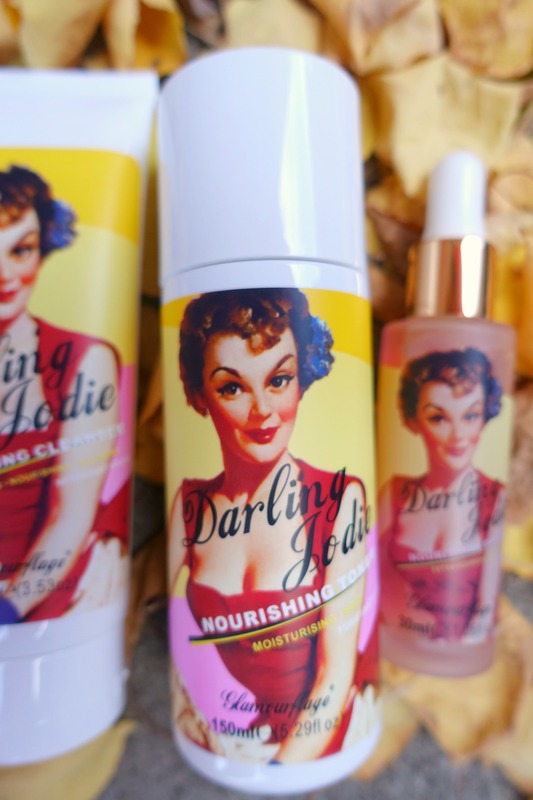 Using Darling Jodie Nourishing Toner totally makes me feel like an adult, as there’s something about incorporating this into your regime that means business. I love how dewy my skin feels after applying but it does take a while to dry so I’m still naughty and skip this step if I’m in a rush. 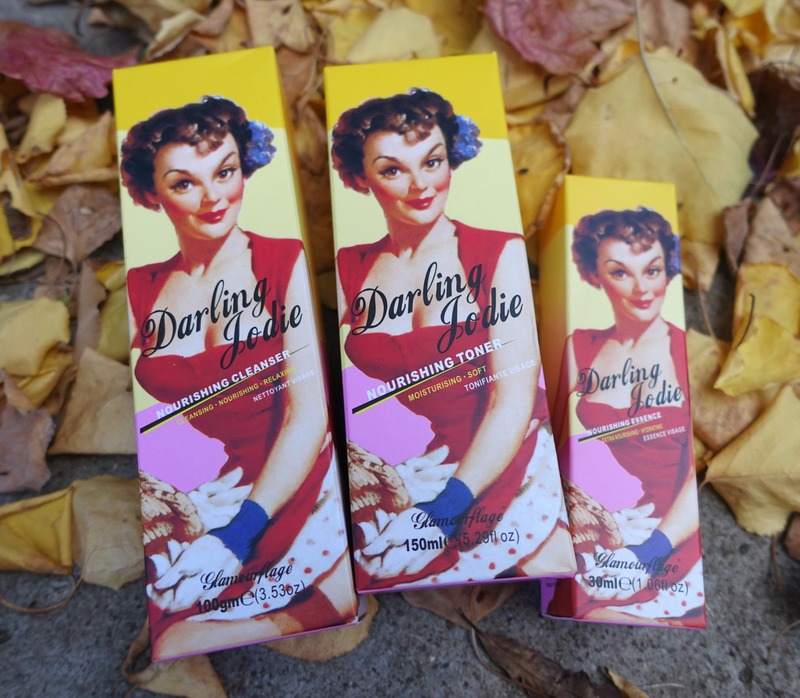 Darling Jodie Nourishing Essence ($39) – One of the most exciting products in the range, the essence boasts nourishing oil ‘pearls’ that are rich in macadamia oil, jojoba oil and vitamin E. The small magical pearls penetrate into the skin to balance PH levels instantly. Shake before use to create a ‘cocktail’ of oil and water blending together to form the little nourishing pearls. Without a doubt my favourite product of the three that were generously gifted. This essence is so luxe and leaves my skin feeling supple. As it’s a blend of oil and water it has that gorgeous nourishing feeling from the oil but dries quickly thanks to the water component. I love slathering this on just before bed and waking up with soft skin. The exciting new range from Glamourflage can be found online or in selected stores, check their website to see if their fun new stores are near you.